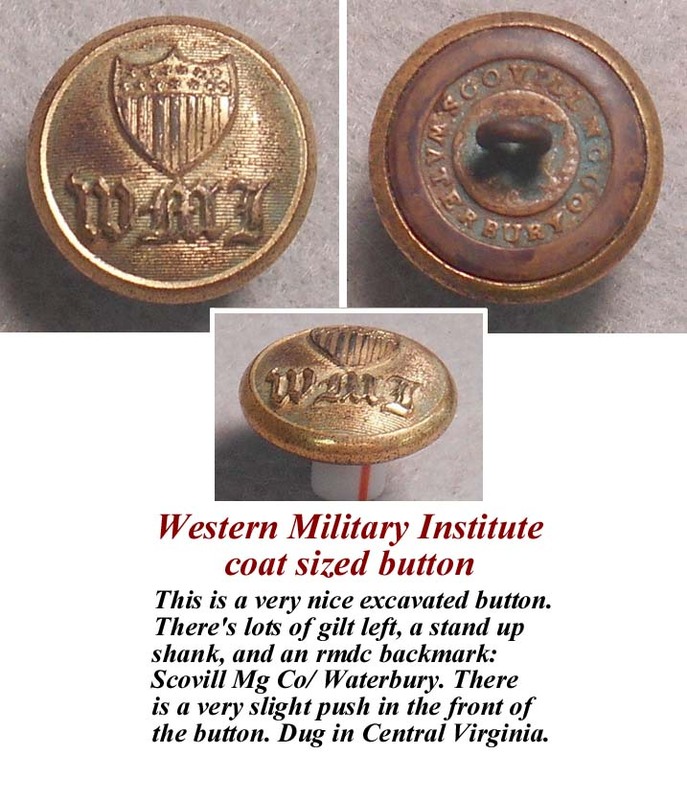 Western Military Institute coat sized button. This is a very nice excavated button. There's lots of gilt left, a stand up shank, and an rmdc backmark: Scovill Mg Co/ Waterbury. There is a very slight push in the front of the button. Dug in Central Virginia. K.M.I. 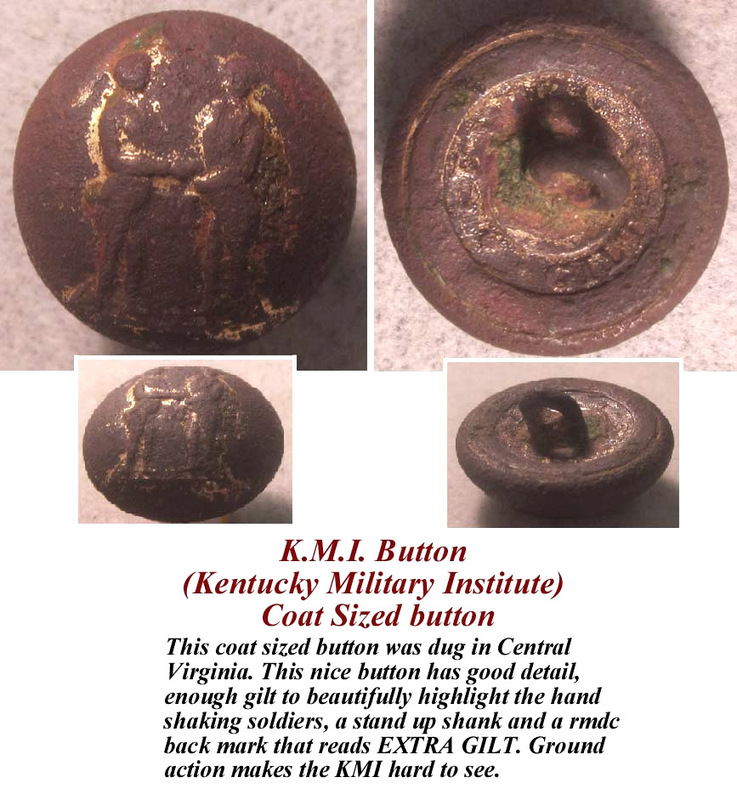 Button (Kentucky Military Institute) Coat Sized button. This coat sized button was dug in Central Virginia. 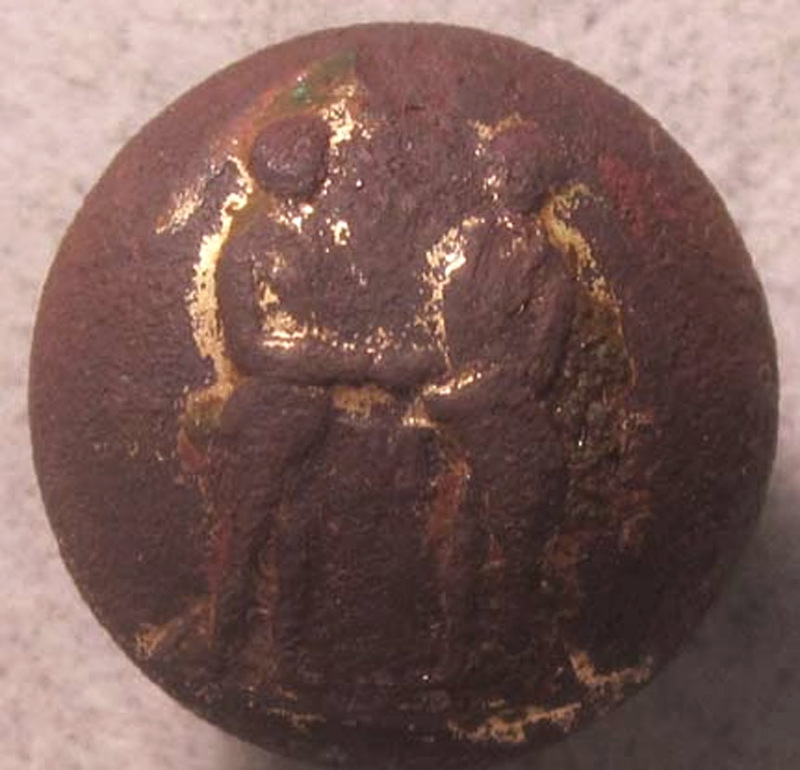 This nice button has good detail, enough gilt to beautifully highlight the hand shaking soldiers, a stand up shank and a rmdc back mark that reads EXTRA GILT. Ground action makes the KMI hard to see. This 19mm button is Albert's SU150 (Tice's NCS270 Am.1 "Schuyler. H.& G./ N. York" dm.) A nice button with some gilt remaining and an upright shank solid and intact. Hillsborough Military Academy; convex, two piece construction. 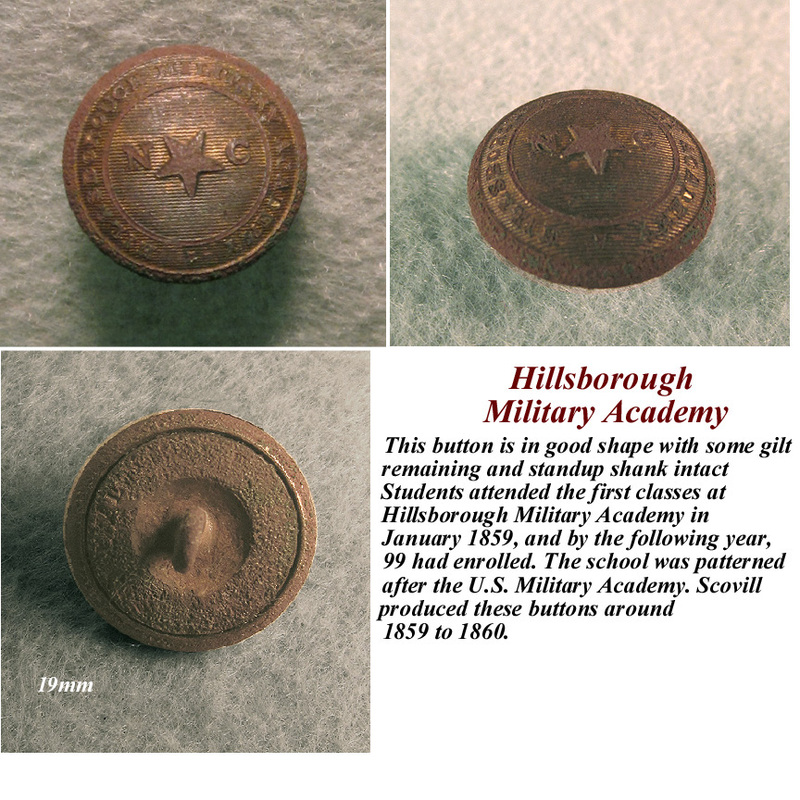 Students attended the first classes at Hillsborough Military Academy in January 1859, and by the following year, 99 students were enrolled. Commanded by Charles C. Tew, a former faculty member at the Citadel and superintendent of the Arsenal Academy in South Carolina, the school was patterned after the U.S. Military Academy. Most of the faculty and cadets joined the Confederate Army at the outbreak of war. Charles Tew was killed in the Bloody Lane at Antietam while commanding the 2nd North Carolina Regiment. Just before the fall of Charleston, many cadets left the Academy without orders to join General Beauregard. To the cadets' dismay, recruiters would not enlist them due to their impetuous breach of cadet discipline. The residual Cadet Corps was disbanded just before General Johnston's Army capitulated in 1865. 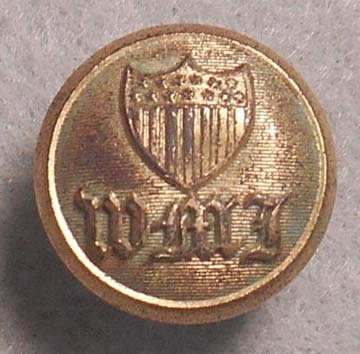 Scovill produced the buttons around 1859-1860. The device shows a five pointed star on a lined field with the prime point oriented downwards and "NC" at sides.